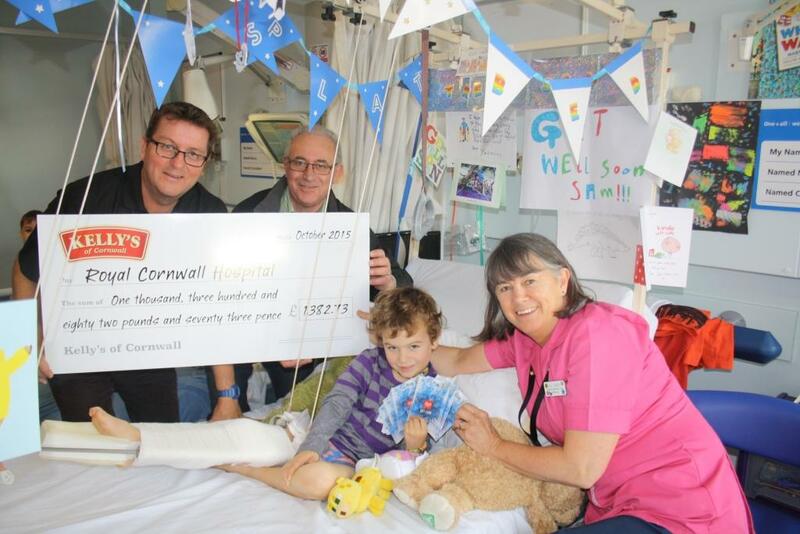 Kelly’s of Cornwall has donated nearly £1.4k to the children’s wards at Royal Cornwall Hospital following fundraising activity at last month’s Great Cornish Food Festival. The Kelly’s team asked visitors at this year’s festival, on Lemon Quay in Truro, for a minimum charity donation of £1 for each ice cream. The money raised will be used by the hospital to buy toys, games and arts materials for the children’s playroom. The donation was delivered to Gill Caddy, senior hospital play specialist, by Graham Kingdon, Kelly’s of Cornwall regional territory manager, and Paul Harrold, Kelly’s of Cornwall factory manager. Harrold said: “The team at Kelly’s is extremely proud to support the fantastic work undertaken by the Royal Cornwall Hospital for the brave young people on its wards.